Two weeks ago, I started with my three-episode interview series, with respect to the serious legal disputes between the Spanish building and operation company Parcelatoria de Gonzalo Chacón S.A., represented by its owner/managing director, mr. Jaafar Jalabi, and the full Spanish subsidiary of Dutch bank SNS Property Finance, ‘Procom Desarrollos Urbanos’. 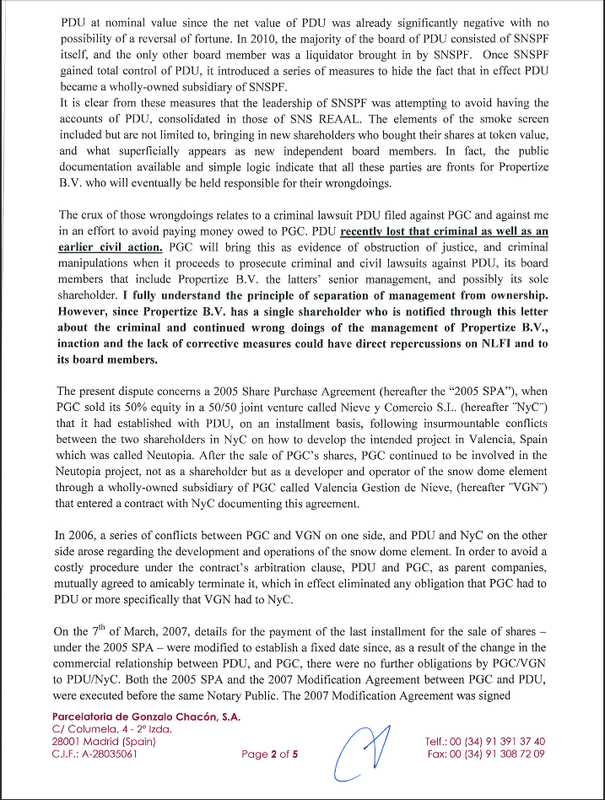 These disputes had emerged as a consequence of a 50/50 investment of PCG and PDU in a shopping mall in Valencia, Spain, which had been abolished by PGC, due to irreconcilable differences of opinion during the execution of this project. Please read this whole exclusive and shocking interview of Ernst´s Economy with PGC managing director Jaafar Jalabi. Today, Jaafar Jalabi sent me an integral letter, which he sent earlier to Michael Enthoven, chairman of NLFI. 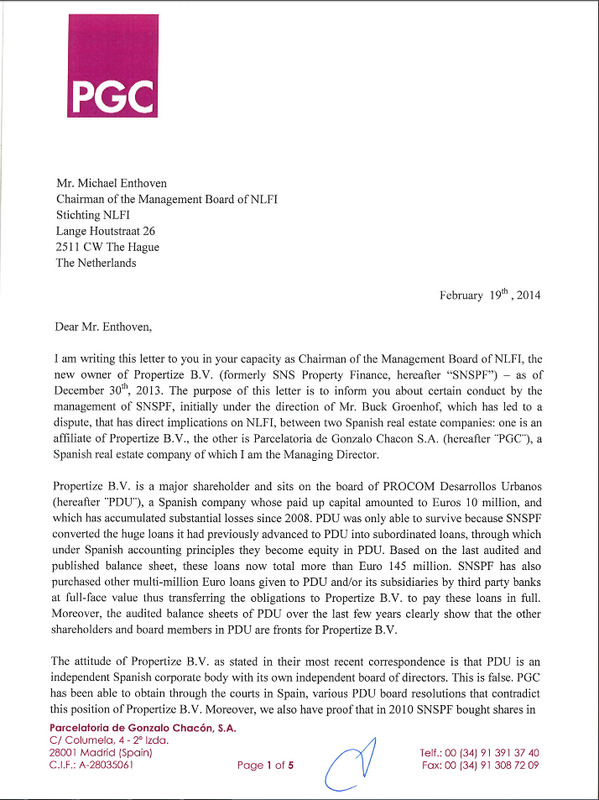 NLFI is the current legal owner – on behalf of the Dutch state – of both SNS Reaal and Propertize BV. The latter is the legal successor of SNS Property Finance. 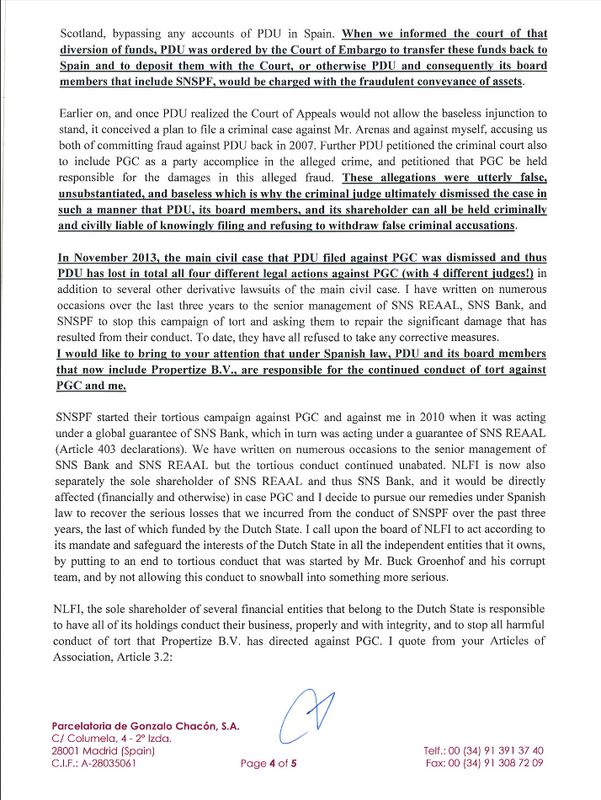 In his letter Jaafar Jalabi urged Enthoven to stop the enduring legal battle of SNS Property Finance and now Propertize BV against PGC and its representative, Jaafar Jalabi. In the following five pictures, I print the integral letter of Jalabi to NLFI. 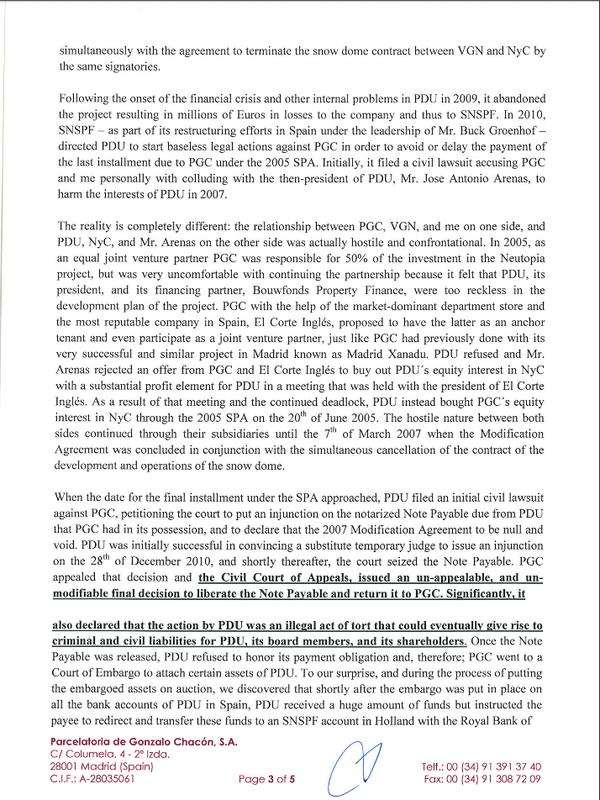 This letter again gives a bright picture of the whole legal battle of his company with state-owned bank SNS Property Finance / Property. 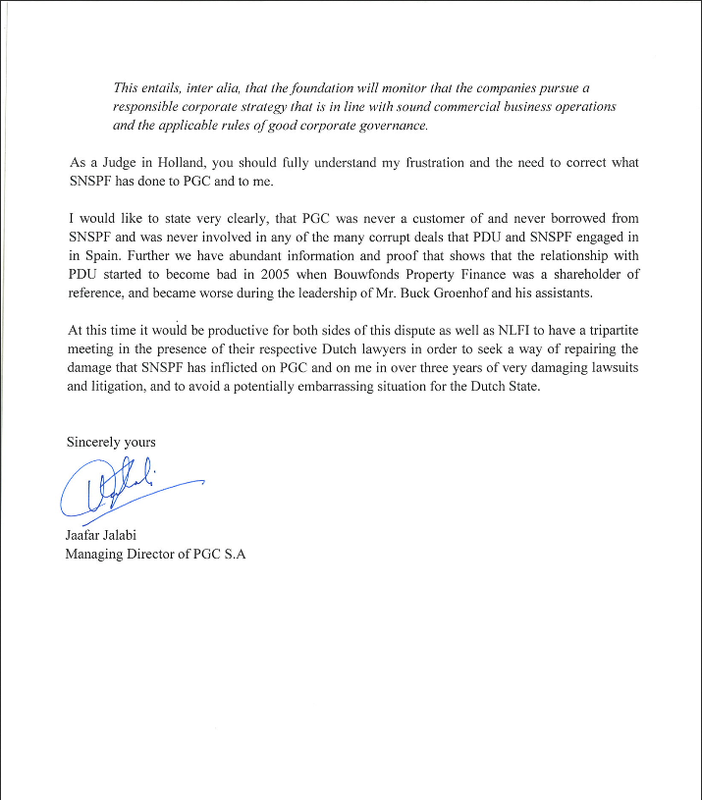 A battle which has apparently not been fought by SNS PF out of well-funded legal reasons, but just as a distraction and delaying tactics, in order to avoid payments due to PGC.